More and more it's getting harder to avoid spiralling out into the Internet, picking up nuggets of useless, amusing or bizare information. 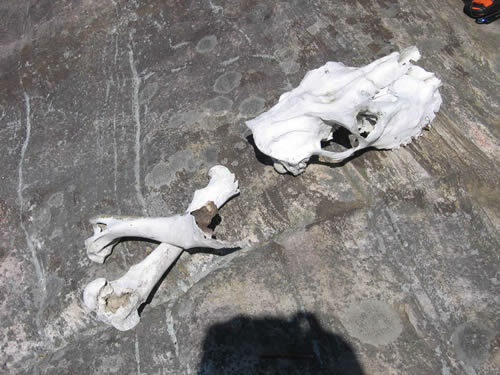 Here are some of the things I come across, as well as site updates and information on my doings for those who may be interested. Recently I was asked by a new blog site to write an article about winter camping. A new experience for me, but quite enjoyable. 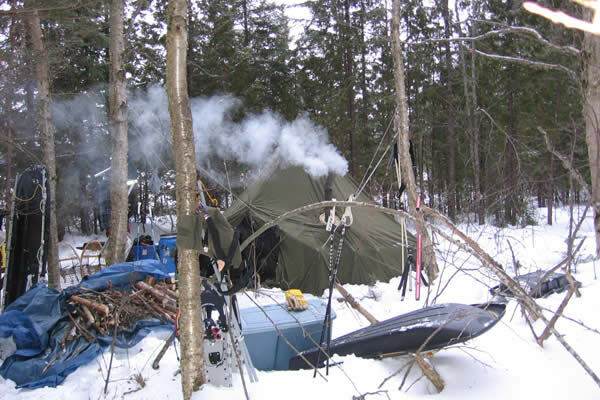 Read my article here - Getting Started In Winter Camping . 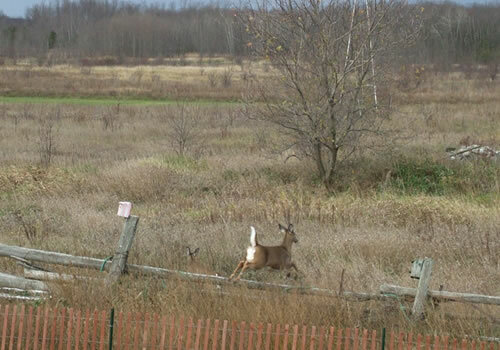 And if you have an interest in getting outside in Ontario, be sure to check out the rest of Parks Blogger Ontario . 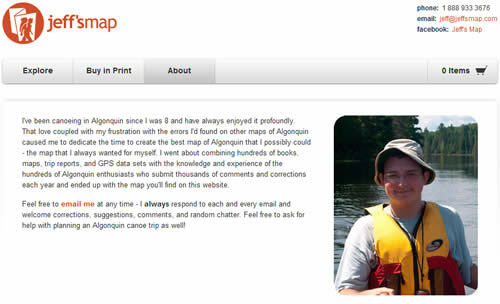 Brandon Peek, a friend who I've travelled Algonquin Park with, has just launched his new web site . 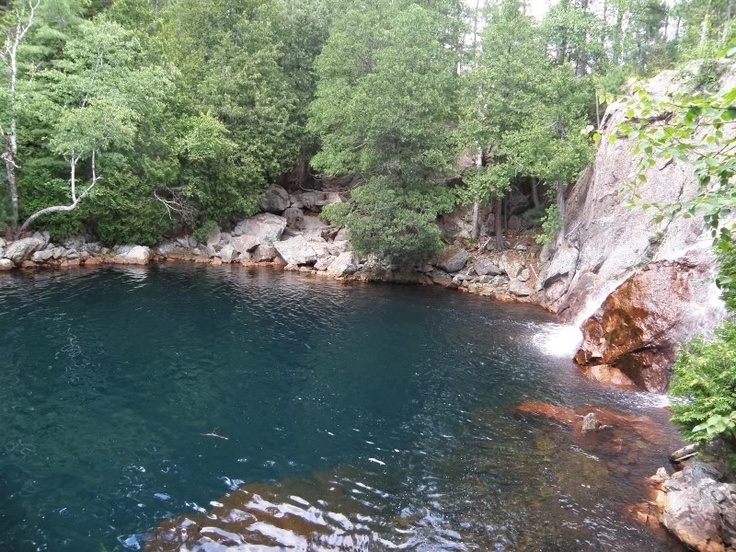 Brandon goes on some epic trips throughout the park and is now recording them. He reaches some remote and historic spots so you should go and have a look. Playing around with the new Google Maps Engine Lite. I've been spending a bit of time looking over the new Google Maps Engine Lite , it's got some nice features. Trip Report of this years Winter Weekend Released. Another great interior winter camping trip is complete. There was much fun and silliness as usual. The full report of our trip into Pinetree Lake can be found here. Found two deer munching away in my garden this morning. Nice to see, there haven't been the numbers there used to be. Hope they keep at it, the garden is a bit of a mess! Well, if you are hooked into any of the web sites and forums relating to Algonquin Park then you'll already know that Jeffrey McMurtrie has released version 4 of his Canoeing and Exploring Map of Algonquin Provincial Park . This is a substantial upgrade to the web site, map formats available and the printed map itself. Visit his site to get all the details and to purchase a waterproof map! Algonquin Park Releases Viewable Map. The Friends of Algonquin Park, who have been getting more involved in the online world, have just put a viewable map on their site. For years people have been using an out-dated PDF map copy. But you had to know someone that had the Algonquin Park PDF map or do some searching to find a download link. 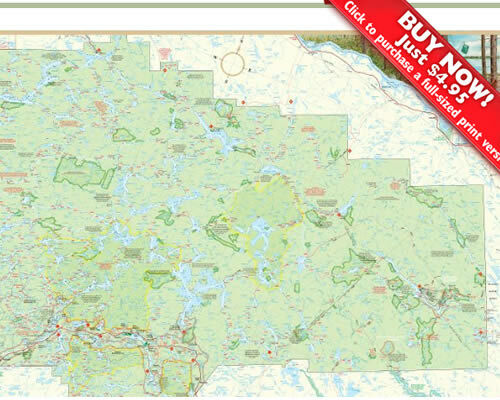 Now you can view the current Friends of Algonquin Park map in a square about 600 pixels square on thier web site. Just click the image below to check it out. I always encourage people to support Algonquin Park and to pick up one of their maps, but there is a better map resource available from Jeffrey McMurtrie. 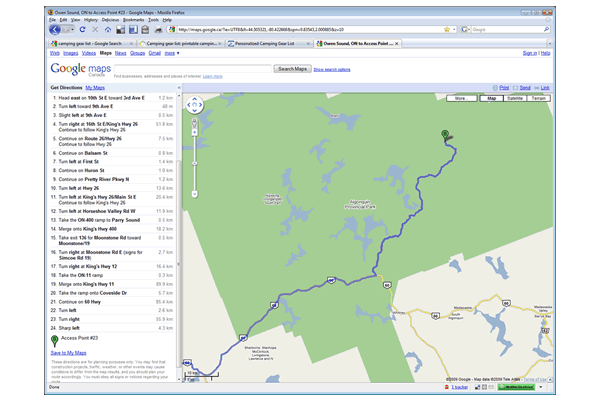 His Algonquin Adventure Map is a superior product and has an online viewer with more features. Plus, he's releasing Version 4 any day now! Time to visit new places. I'm leaning towards doing a canoe trip to the Wolf Lake area. After so much discussion about the old growth there - and protecting it, I thought I should visit. Looks like an amazing area. I'm so glad I signed up for those Critical Alert messages from HP. Meanest Link Trip Log Available. It took a long time to write and arrange photos, but it's finally online. Winter camping trip photos up. I've thrown some photos up to a Picasa Album , not sure I like the Google+ look. The trip report will follow at a later date. 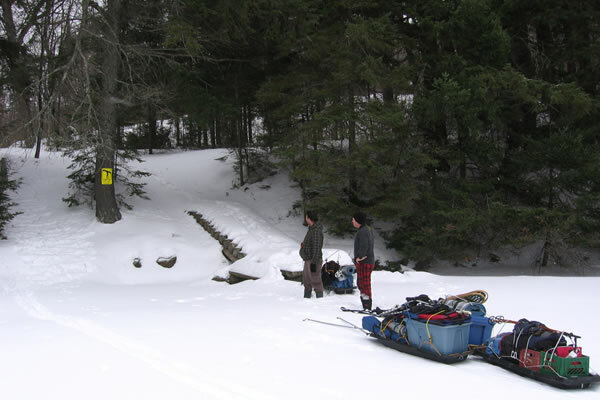 Winter camping in the interior of Algonquin Park. Just back from a great trip into Algonquin Park, three nights hot tenting on Head Lake. The weather was great and we made several day trips around the area. A full trip report will be coming in the near future. Are there people that still think your every move can't be tracked online? Really? This time it's the Weather Network getting in on the action. I wonder how often this stuff happens? 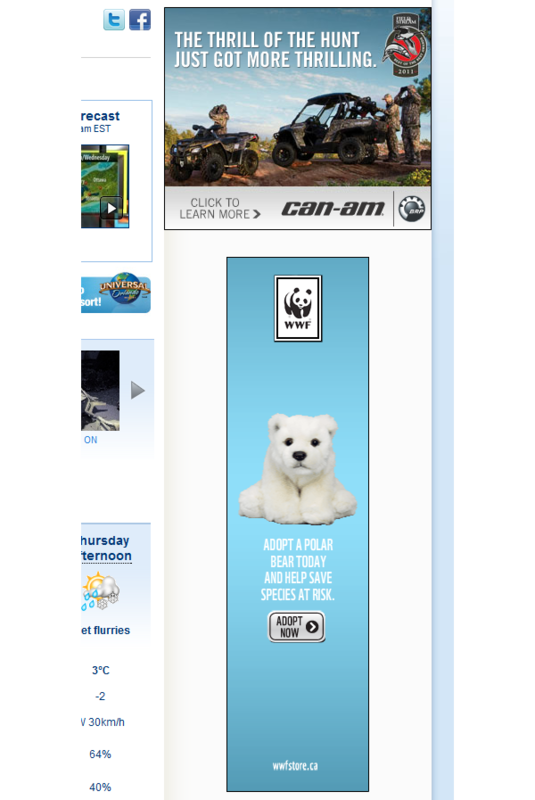 I could see someone getting stuck for half an hour trying to decide which ad to click on! Saw a huge fireball, part of the Taurid Meteor Shower , last night. Not quite as spectacular as the above video, but close to it! 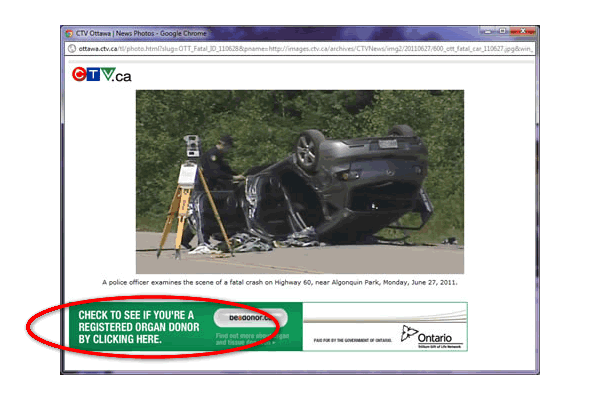 Insensitvity or just good ad placement, you decide. Google must be running out of places to map. I live in a small town several hours north of Toronto, Ontario, Canada . 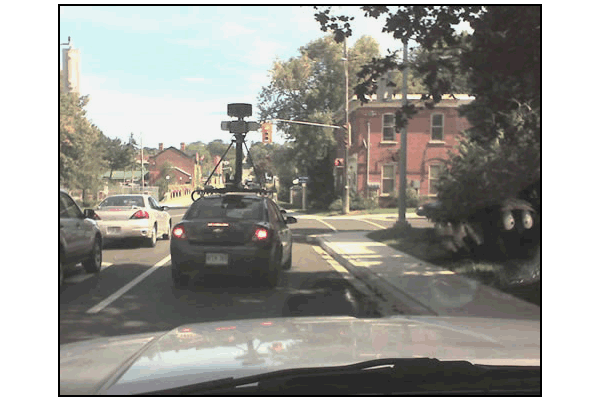 I would put the number of people that don't know what Google is at about 25%, yet here's Google Street View 'ing my town! I can hardly wait to look myself up on Street View. Sorry about the bad photo, had to use my Treo. 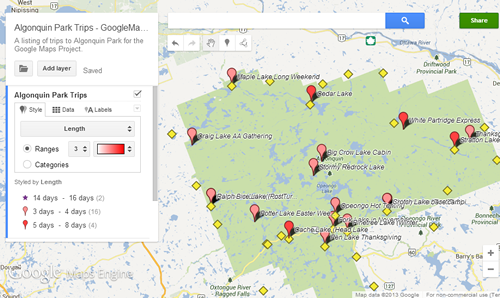 Does anybody else see a problem with these Google Map directions to Algonquin Park Access Point #23? 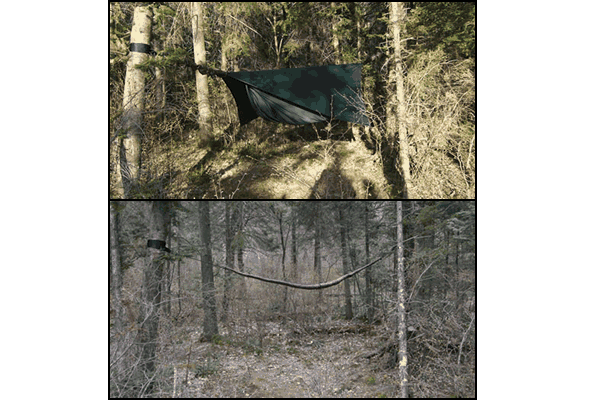 I picked up a couple of Hennessy Hammocks over the winter when they had a great buy one get free one deal. I used it for the first time on a recent trip to Craig Lake and loved it. It's quick and easy to setup and very comfortable. I found there was some adjusting to get used to trying to get into a sleeping bag in a hammock but overall this is a great product. 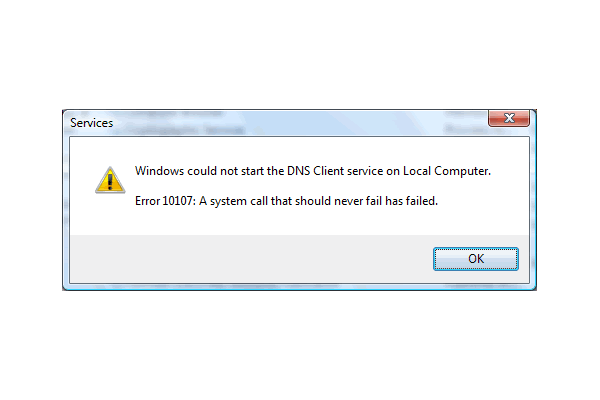 Had a wonky Vista laptop I was working on and in the process of troubleshooting I came across this helpful error message.